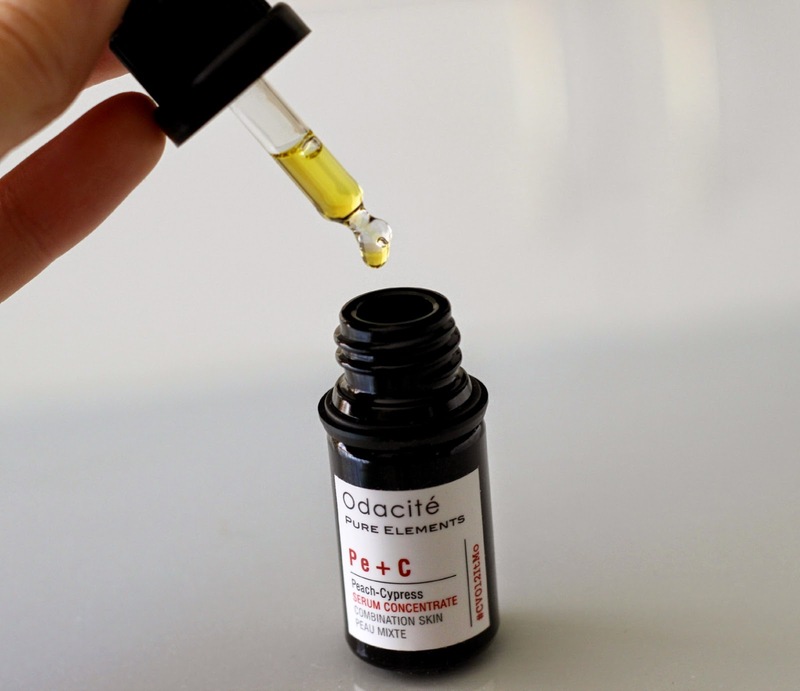 Odacité Peach Cypress Serum Concentrate Review + Montreal Launch Event! A few weeks back, I was lucky enough to get invited to Annie Young Cosmétiques for the Québec launch of California based skin care brand Odacité. I've already professed my love for their products (proof here) so I was beyond thrilled to learn more about their range and discover a new beauty spot in the city. I squeezed in some time between classes to pop inside the Westmount boutique as my university isn't too far away and I was honestly blown away by the location as well as the wide selection of products available for purchase. 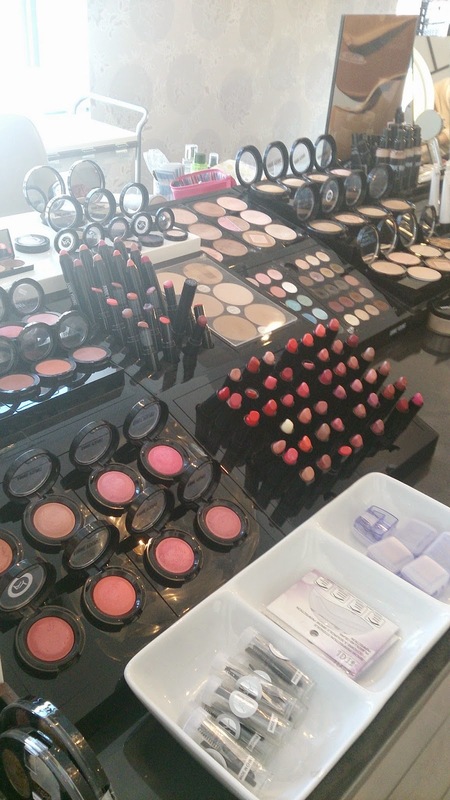 I discovered a ton of new brands and had the chance to discover more of the Odacité vegan line and meet the lovely ladies behind both Odacité and Annie Young Cosmétiques, founded in 1987 and run by Annie Young herself and her daughter Sharleen. I was even treated to a personal tour of the boutique by THE Annie Young, which was pretty sweet I must say! 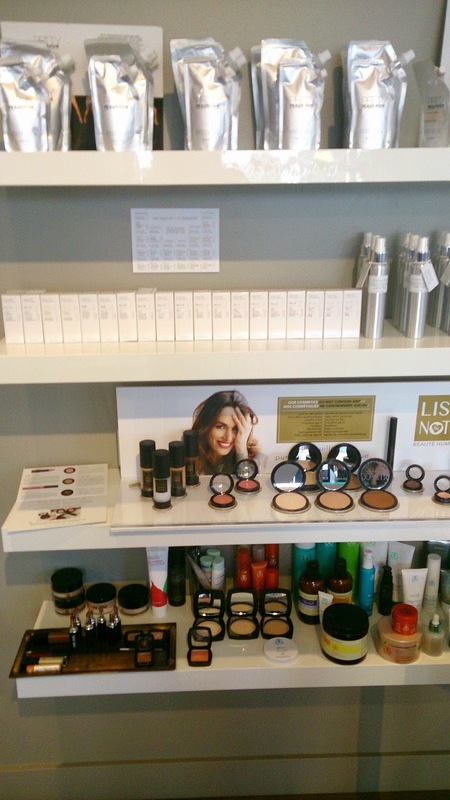 Not only will you find their private label brand Annie Young Cosmétiques but you will also discover other brands such as Ellis Faas, Artdeco, RMS Beauty, Lisa Noto, Vitamine & Sea and even Kevyn Aucoin, exclusively found at this boutique in Montreal.They also offer tons of makeup services and even makeup lessons all in one place. I was generously sent home with the Odacité Peach Cypress Serum Concentrate* and a complimentary makeup session at the boutique which I'm looking forward to put to use in the near future. 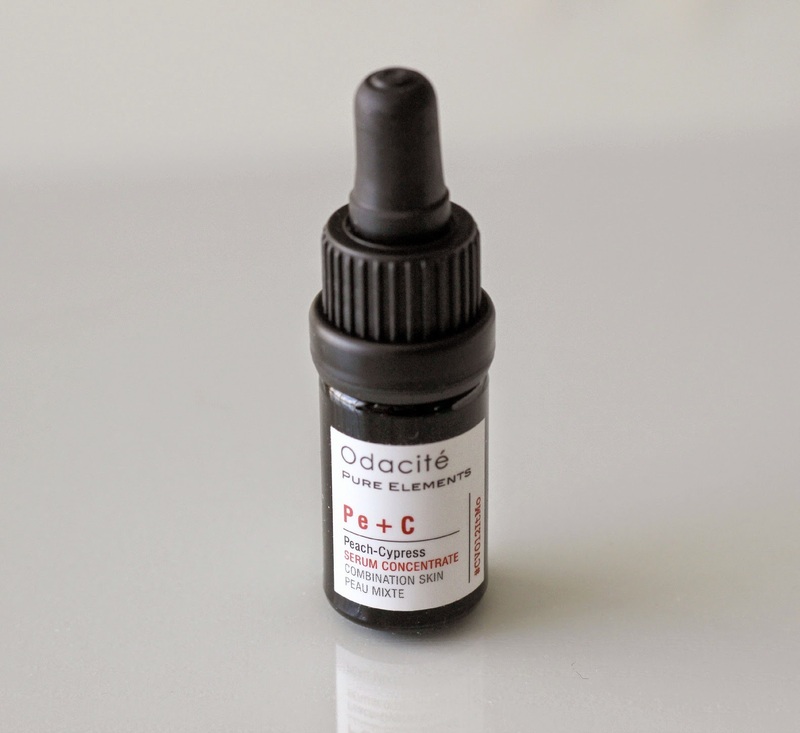 The Odacité Peach Cypress Serum Concentrate ($US35, 0.17 oz or 5 ml) is part of the Pure Elements range and targets those of us with combination skin. Compared to the Camelina Chamomile Serum specially formulated for sensitive skin (more here), this ones smells much more fruity although it still has a nice herbal kick to it. I've been really enjoying mixing 2-3 drops of the serum with rosehip oil and pressing it gently into my skin both morning and night. You can also use it on its own for a more intense effect. I have noticed my facial redness dissipate and have seen a gradual fading of scars too since including these serums in my routine. Unlike what you might think, this oil based serum containing peach oil, cypress oil, grapefruit oil and sea buckthorn actually absorbs super quickly and after 5-10 minutes I go ahead and apply my current favourite pressed mineral powder. Not only that, but the serum is also said to help fight fatigue and also improve circulation thanks to its exquisite cypress scent. Once again, I am beyond impressed with how moisturized my skin has been over the last few months, something I have yet to experience coming out of the winter months compared to previous years (I think my increased water intake might also be playing a part in this as my overall skin dryness has been quite minimal). Coming back to these serums though, they are honestly like liquid gold for the skin - I am in awe of how powerful they are and they do not disappoint! I thought I would leave you with a few snaps I took at the event. Many brands to discover, including natural, organic and local ones too! You can also purchase Odacité online and at The Detox Market, both in stores and online. Don't you just love finding new places to shop at? 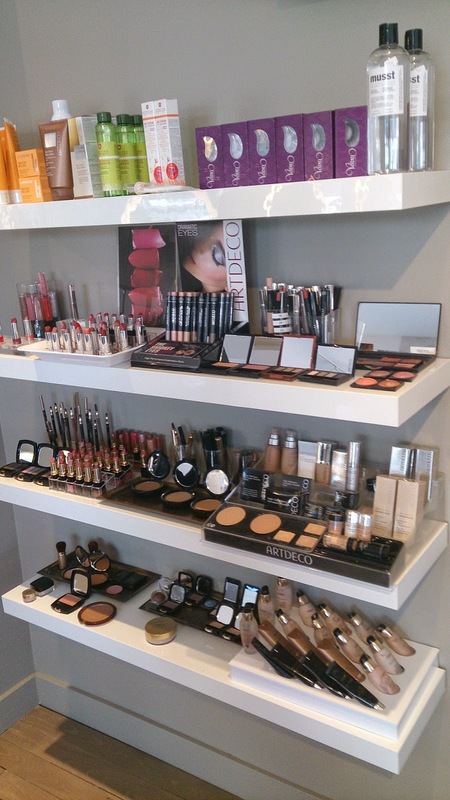 Have you discovered any new brands or beauty boutiques lately? Let me know in the comments below! *Disclaimer: Product was provided and reviewed in accordance with my Disclosure Policy. Affiliate links provided. That serum though... anything peach is tempting to me oddly! I honestly probably couldn't care less about what it did... just knowing it's peach makes me want to buy it! I would hope that this serum could help with fading scars! I've never tried this brand, the serum looks like a great product! So small, but powerful. :) I love how it fades scars and absorbs quickly. I love getting feedback and suggestions from my readers! I do my best to answer all questions, so do not hesitate to ask. 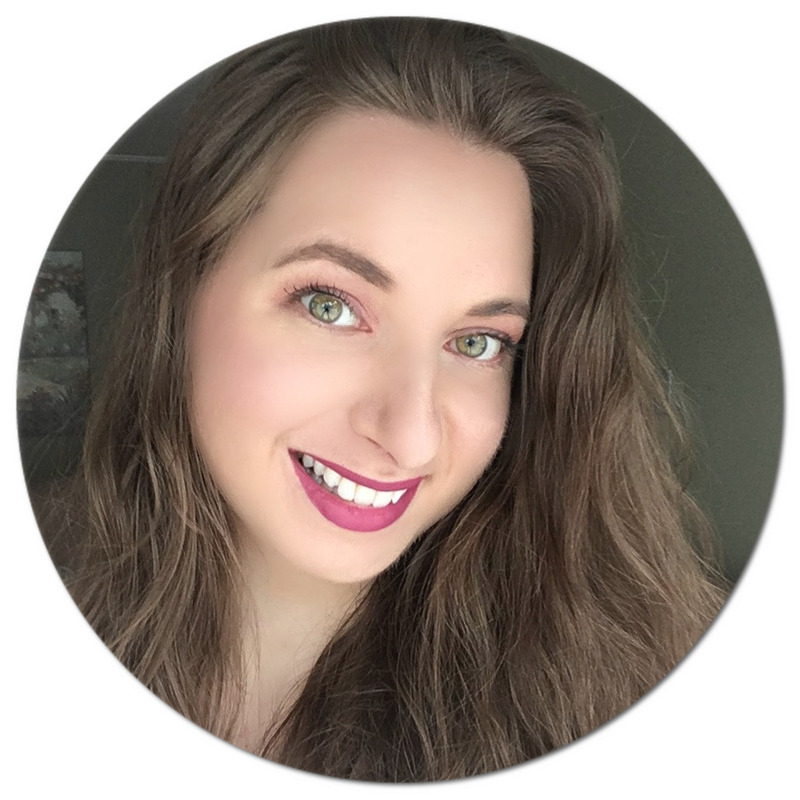 Make sure to check the box "Notify me" in the comments section below to get notified when I respond, or you can also tweet me @natlovesbeauty! EPIC EMPTIES | Winter 2019 Edition + GIVEAWAY! evoDerma Proneck Massager | Review + Demo! Wake Up Wednesday Linky #63 | Share Your Posts!